Wallace HS defeated Banbridge Academy 4-1 on penalty strokes to win the Burney Cup after Wednesday's final at Lisnagarvey finished 3-3. Daniel Nelson put Wallace ahead before goals from Clarke Neville and Johnny McKenna gave the holders a 2-1 lead. Jack Wilson levelled and Aaron Reid restored Banbridge's advantage before Sean Murray's last-gasp equaliser. 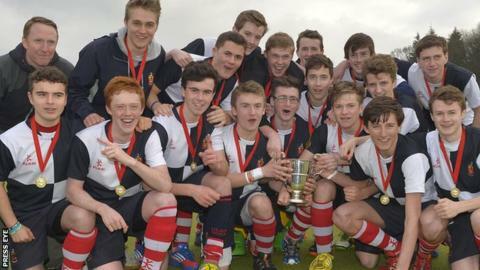 The Lisburn boys won the shootout to secure a double after winning the McCullough Cup in December.